Indie Retro News: Spaceman Splorf : Planet of Doom - A brand new C64 game release! 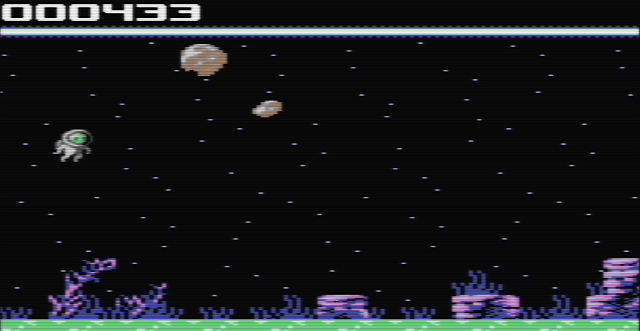 Spaceman Splorf : Planet of Doom - A brand new C64 game release! What a mind blowing day for game release updates, as it has pretty much been non stop from this morning! 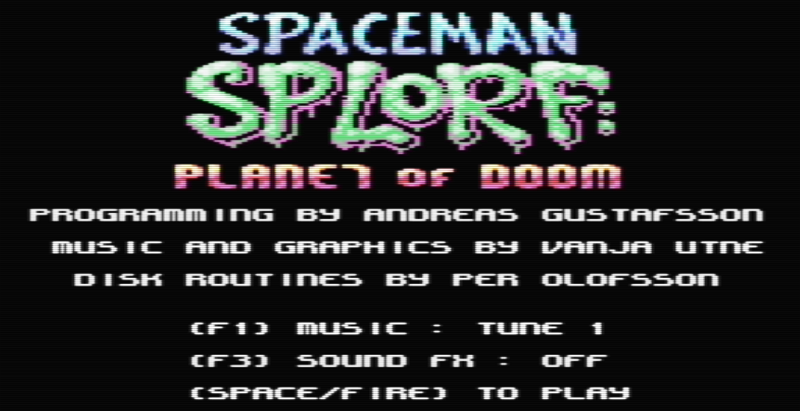 But to go out with a bang, Pond Software Ltd with SDW Developments has released a brand new game for the C64 called ' Spaceman Splorf : Planet of Doom '. Programmed by Andreas Gustafsson, with music and graphics by Vanja Utne and Disk Routines by Per Olofsson, ' Spaceman Splorf : Planet of Doom ' is a C64 high score non stop space journey through dangerous zones, that will at some point end your life! Think of this game as a far more interesting Flappy Bird, set in deep space with all its deadly hazards zooming at you at great speed. If you hit an asteroid you die, if you fall to the planets surface you will drown and die, if you hit anything other than just space, again you will die. This is a lovely game and is very challenging and in my opinion way better than Flappy. The graphics are overall decent with great landscape detail, and the music is a joy to the ears. Shamefully I would have loved to have given this game a full review, but time constraints meant I could only write this short article up. But if you've got the time to spare, download it today, it's FREE!